Billy - an actor with ambitions to make it to the top. And when they fall in love, Sophie is whisked away from the comfort of her life into Billy's glamorous - but ruthless - world. Their relationship throws Sophie right into the spotlight after years of shying away from attention. Can she handle the constant scrutiny that comes with being with Billy? And most of all, is she ready for her secret heartbreak to be discovered and shared with the nation? Billy and Me is a fantastic modern day love story. Sophie is a very reserved character who works in a tea shop and lives a very sheltered, quiet life. Her safe and comfortable life is about to be turned upside down when a chance meeting with the gorgeous actor Billy leaves the couple head over heels in love. They always say opposites attract and this couldn’t be more true with our two main characters here. Billy is very ambitious and wants to make it big but Sophie begins to wonder how she will be able to fit in with his life style. As well as our wonderful two main characters there are also some fabulous supporting characters and the one that shines through for me is Sophie’s unlikely best friend Molly who is also the wise old lady who owns the café that Sophie has worked in since leaving school. She is such a lovely character and a great friend to Sophie, I looked forward to her appearances in the book. As well as writing our loveable characters Giovanna also manages to write the more loathsome characters just as well. I particularly didn’t like Billy’s manager Paul he got my back up from the first meeting but his role in the book was perfect as it is what we expect in the acting world. The memory that is going to stay with me and will there for not allow me to forget this book is that this is the first book that I have had to actually put down and stop reading because I had tears streaming down my face. I have read a handful of books that have brought a tear to my eye but this actually had me sobbing! The way Giovanna wrote a particularly heartbreaking scene towards the end of the book was so beautiful and delicately done that it really moved me. I think this may have been heightened by the fact that only three months ago I had the exact same situation and so I felt I could really relate to the storyline. Although the whole famous guy meets normal girl storyline has been done countless times this book definitely has an edge and so is well worth a read. 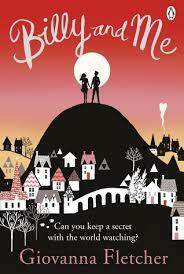 Any Paige Toon or Jane Green fans will love Giovanna Fletcher’s book. It is quite hard to believe that this is the authors debut book, I look forward to the next release from this author.